Simple on the surface but complex in its level of detail, Tardy is a game that is designed to present you with a genuine challenge. 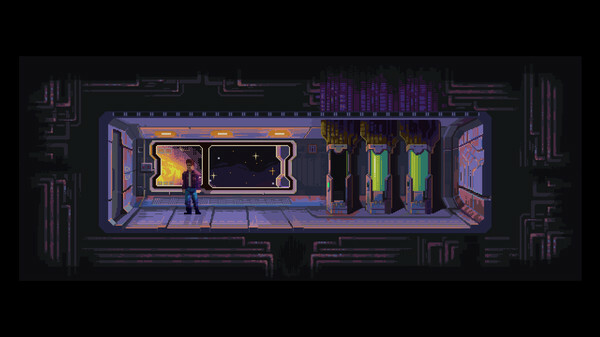 Between a retro art style and a sci-fi setting, Tardy is simultaneously vintage and futuristic. The structure of the game and the way it looks on screen feels very reminiscent of early arcade games, with really simple controls. You can point and click using the Switch’s touch screen or by controlling a cursor that moves around the screen. You click where you want the protagonist, Ramto, to walk and on computer screens that you want him to engage with. The story, in a twist that makes for a fun juxtaposition between past and future, sees Ramto lost in a space ship with its crew having mysteriously disappeared and no apparent information about what happened to them or how Ramto can get home. 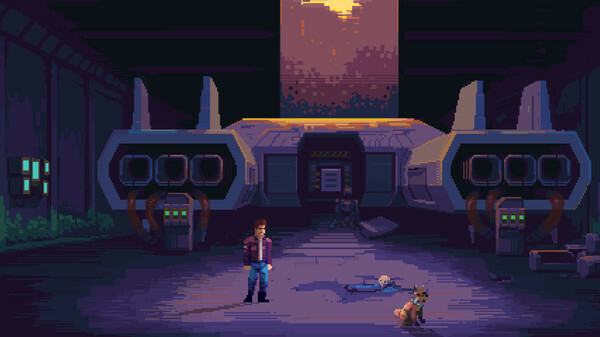 You make your way through the space ship by fiddling around with the weird gadgets, in various stages of disrepair, that you find lying around. Luckily, Ramto happens to be the kind of guy who relishes playing around with electronics, figuring out how they work and tweaking them to suit his needs. Any player who happens to also fit this description will love this game. It is fairly slow paced and you have all the freedom you need to fiddle and tweak and mess around with the quirky 8-bit gadgets until you solve the mysteries around you. Tardy is a game for puzzle addicts and problem solvers, who love a story that they can unravel at their own pace. It has a good sense of humour, too, and really embraces its own tribute to vintage technology and gaming. At a fairly early point in the game, one of the computers you need to play with simply offers you a game of Pong. It really makes the most of the aesthetic, too. As a game to be savoured and thought through, rather than rushed, Tardy is surprisingly pretty to look at. Even as you bounce between glitchy computer screens trying to unlock the next room on the ship, it is hauntingly beautiful watching an 8-bit solar system drift by out the window. 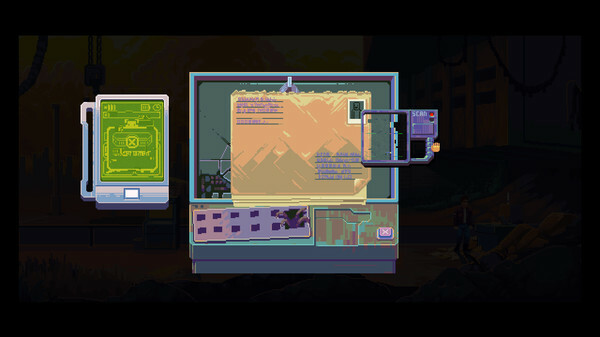 Tardy is a game that you need to be patient with but is ultimately very rewarding as you work your way through the story. Kirstie Summers is a writer based in London, England, who takes every opportunity to blend her hobbies with her career. She has written about books, movies, art, and gaming. She has been a Nintendo fangirl for as long as she can remember and relishes any excuse to incorporate it into her work. Today, she games on Switch, PC and, until Pokémon comes to the Switch, the 3DS.